The global Protective Textile market was valued at USD 6,024.2 million in 2017 and is anticipated to grow at a CAGR of 4.4% during the forecast period. Protective Textile refers to garments and other fabric developed to sustain harsh environmental conditions while providing protection and safety to the user. These garments protect the user from conditions such as extreme heat, radiation, electrostatic, and mechanical forces, which may otherwise lead to injury. Protective textile is used by personnel in defense and military, emergency services, hospitals, manufacturing, and space exploration among others. The major driving factors of the market include increasing concerns regarding safety of the workforce, and stringent government regulations concerning workplace safety. Protective textile has registered a rising demand from varied industries such as construction, oil and gas, and mining among others, thereby accelerating the growth of the market. Other factors driving the growth of this market include growing investments in R&D, and technological advancements. However, high costs associated with them would limit the growth of the market to a certain extent. Expansion of established companies into emerging economies and growing adoption of phase change materials would provide numerous growth opportunities in the market. The global Protective Textile market is segmented on the basis of material, application, end-user, and geography. Based on material, the market is segmented into aramid & blends, polyamide, laminated polyesters, cotton fibers, polyolefin & blends, and others. The application segment is categorized into mechanical, thermal, electrical, chemical, radiation, and others. The end-users included in the report are defense, manufacturing and construction, mining, oil and gas, space exploration, healthcare, emergency services, and others. 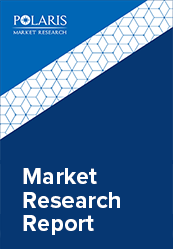 This report comprises a detailed geographic distribution of the market across North America, Europe, APAC and South America, and MEA. North America is further segmented into U.S., Canada, and Mexico. Europe is divided into Germany, UK, Italy, France, and Rest of Europe. Asia-Pacific is bifurcated into China, India, Japan, and Rest of Asia-Pacific. Europe accounted for the largest share in the global Protective Textile Market in 2017. The vendors in the market are launching new products to meet the growing customer needs. In addition, the leaders in the market are acquiring and collaborating with top companies in the market to enhance their offerings in the market and expand their customer base. For instance, In October 2017, Klopman introduced its four new product lines. The new range includes innovative fabrics that offer protection from external agents while providing comfort for every working condition. In January 2015, Teijin Limited announced the launch of Teijinconex neo, which is a new type of meta-aramid fiber providing unsurpassed heat resistance along with excellent dyeability. This launch enabled the company to enhance its product offerings in the market and cater to the growing consumer demands. In May 2015, Ansell Limited acquired Microgard Ltd., which is a protective clothing manufacturer based in the United Kingdom. This acquisition enabled Ansell Limited to expand its portfolio of protective clothing in the market and strengthen its presence in Europe. Other leading players in the market include Ansell Limited, 3M Company, Honeywell International Inc., Teijin Limited, E. I. Dupont De Nemours and Company, Milliken & Company, W. L. Gore & Associates, Inc., DyStar Group, ARGAR S.r.l, Marina Textil S.L., Royal Tencate NV, and Kimberly Clark Corp among others.